The Lavender Garden by Lucinda Riley is a novel which takes place in two timelines, current day and during World War II. 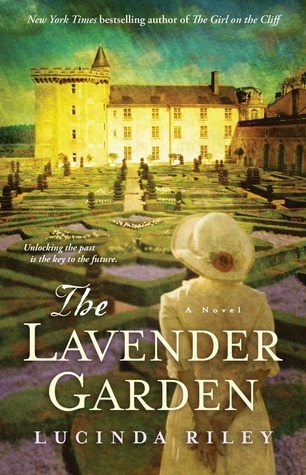 The Lavender Garden by Lucinda Riley is a written novel, which touches on World War II and France culture. However, I did find the storyline too convenient and the heroine too gullible. I found the story that takes place in modern times not very interesting and the characters are being built up and then do stuff which is exactly the opposite of their nature. The heroine is supposedly a strong, capable woman – but at the first sign of troubles she goes off and marries a man who turns her life upside down. While I found the parts of the story taking place in World War II, the story could have taken place at any other time of turmoil since there was very little history. The story is more of a romance and very predictable, I found myself skimming through the last half of the book. Maybe I’m disappointed because the way the book was sold to me (a WWII book instead of a romance), I still think the writing is good, but the overly romanticized story didn’t work for me. Emilie de la Martinières, a young French aristocrat inherits her childhood home, a big château and vineyard as well as debts. An art dealer finds himself with Emilie helping her sell some of the treasures she inherited and the two fall in love. During their time, they discover that the home has its secrets, including a connection to the French underground during World War II and Constance Carruthers ,and English undercover agent.